Many traditional DLP products can’t address today’s dynamic data security requirements. 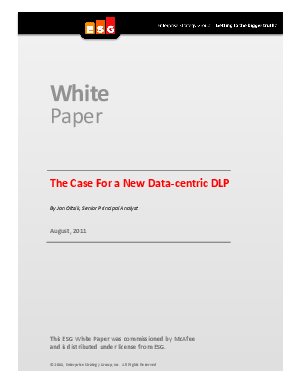 DLP must become more data-centric, made up of multiple integrated technologies that tie together over the network. Read this whitepaper to learn about data loss prevention that is truly built to address today's risks and keep your business data safe.